A couple of days ago I attended one of my favorite annual luncheons, the "purse luncheon", to benefit the Madison Square Boys & Girls Club. www.madisonsquare.org. 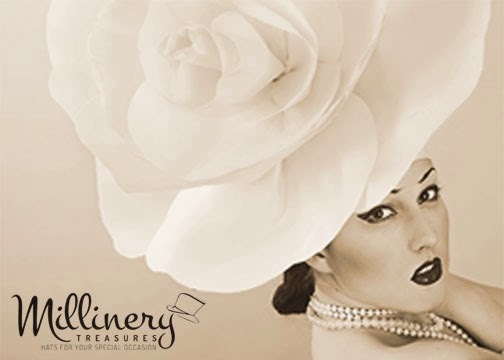 The Purses & Pursenalities luncheon is very popular amongst New York's social and fashionable ladies. Every year about a hundred purses, many luxury brands, are sold via silent auction to raise funds for Madison Square and yesterday over $90,000 was raised via the auction! In addition, at least one designer is honored for their charitable endeavors and there is always a well known MC. This year Mr. Chuck Scarborough, NBC News anchorman in NYC, was the MC and three designers were honored and received awards: Elaine Turner (http://www.accessorygeneration.com/2014/03/texas-glam-at-elaine-turner-store.html ), Laura Vela and Yliana Yepez. Each designer had a display table so luncheon attendees could see the stylish accessories in their collections. This was the ninth purse luncheon. I think I started attending the second year, and it keeps getting more an more popular, which is fabulous for the charity and for the guests. This year I attended with Accessory Generation advertiser Conlyn Chan the CEO of Lawless Accessories (http://www.accessorygeneration.com/2014/02/lawless-accessories.html). Lawless donated one of their signature clutch bags to the auction and Conlyn and I carried Lawless clutches, of course. Lawless Accessories CEO Conlyn Chan holding the bags we carried. The black clutch on the table to the right is the beautiful clutch she donated to the silent auction. 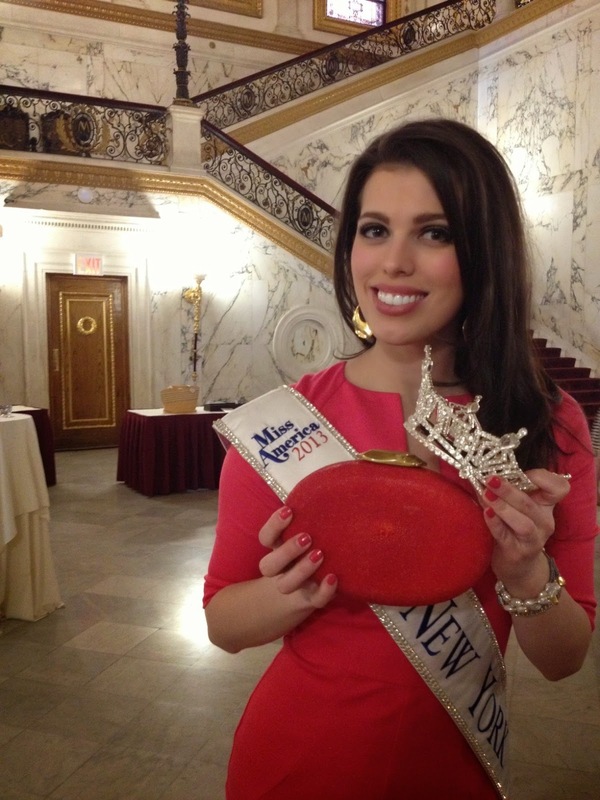 We were fortunate enough to be seated with the reigning Miss New York, the lovely Amanda Mason. Amanda was very sweet and posed for plenty of photos and even took out her crown for us! The lunch was so much fun and on the way out everyone received a purse shaped goody bag from Skinnygirl containing four delicious flavored sparkling waters.